The spate of incidences of herdsmen versus farmer clashes have been on a rapid increase. With various versions, theories and explanations as to why this is so, there is clear evidence that there is a direct link between Climate Change and herdsmen/farmer clashes and cattle rustling. In Nigeria, the most of the cattle herdsmen are Fulani – a traditionally nomadic tribe who go through towns with their cattle in search of pasture. It is estimated that Nigeria has 22 million cows that consume an estimated 1 billion gallons of water per day and a whooping 500 million kilograms of grass and other forage crops. Using an average of ₦150,000.00 (Nigerian Naira) per head of cattle, the country’s stock value is pegged at ₦3.4 trillion or US$16.2 billion. In other words, Nigeria’s cattle constitute a reasonable chunk of wealth and should not be ignored. However, Climate Change and its associated effects have resulted in increasing drought in Northern Nigeria where majority of the Fulani herdsmen are found. 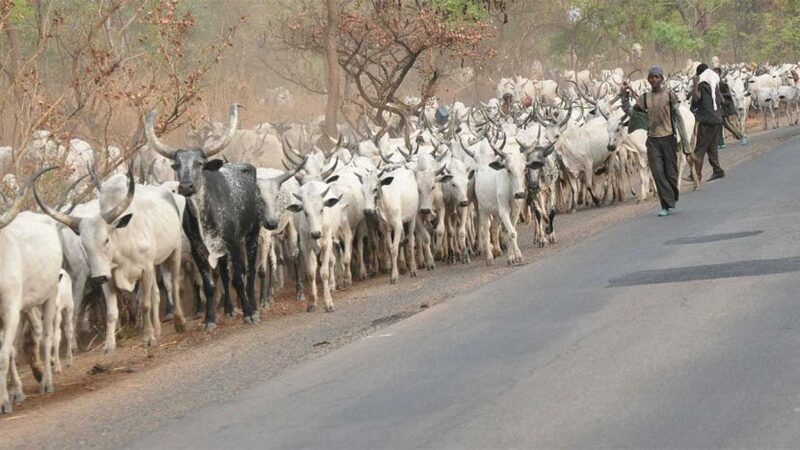 In addition, activities of the extremist group – Boko Haram in the north-eastern States including Cattle Rustling means less grazing area in the north. Thus, the herdsmen are forced to head south. Unfortunately, as a result of past experiences in the hands of cattle rustlers, these herdsmen now carry arms of various types and levels of sophistication. 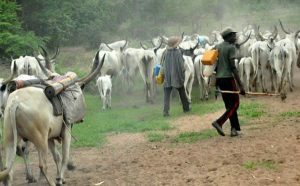 During this journey in search of greener pastures (literally), the herdsmen and their cattle often encounter and trespass farmlands owned by the locals of these communities destroying produce and other valuables. In many cases, the farmlands have not been harvested. Naturally, nothing offends a farmer more than seeing his hard work and months of labour and toil come to nought. But attempts by farmers to stop the cattle from wreaking havoc are often met with stiff and violent resistance from the herdsmen. Many farmers are overpowered, injured and killed while villages are attacked, houses razed and possessions stolen. The numbers are alarming and increasing exponentially. For instance, in Benue State – christened ‘Food Basket of the Nation’ and endowed with abundant vegetation, 63 people were killed in 2013 compared to 1,229 in 2014. Reports of herdsmen attacks and clashes have also been reported across several other southern states in the country. The crisis is not peculiar to Nigeria. Other affected areas include the Karamoja sub-region in Uganda. Here, some of the locals whose cattle were taken by rustlers have resorted to farming. With support from governmental and non-governmental organisations (NGOs), they were provided planting materials like beans and maize seeds, and farm implements. However, farming in the region is hindered by prolonged dry spells and heavy floods that destroy crops. Many experts agree that the best practice in the arid region to help the people adapt to rising temperatures as a result of Climate Change still remains pastoralism. It also remains the people’s main source of wealth. The nomadic lifestyle of these herdsmen has existed for hundreds of years with few conflicts. However, within the past few years, things have taken a turn for the worse and if left unchecked are likely to spin out of control. Of course there are several reasons for this and one of them is the growing population of Nigeria’s cattle, estimated at 2.1% annually. The corresponding increase in the people population also amounts to smaller grazing areas as the need for farmlands continue to increase. But in addition to all these factors, a major contributor is Climate Change. Recognising the importance of Nigeria’s cattle in the country’s food security, it is imperative to identify major causes and proffer appropriate solutions. In order to this appropriately, the role of Climate Change cannot be ignored. Science shows the several likely and on-going impacts of Climate Change on vegetation and livelihoods. It is therefore important for governments, communities and organisations to implement appropriate mitigation and adaption measures. Promoting and encouraging ranching and other controlled forms of raising cattle. Promoting and encouraging community and private sector investments and participation. Dialogue! Dialogue! Dialogue! We must all learn to live with each other peacefully.